Our products sell well all over the country and exported to more than 20 countries. Our company gradually worked out a set of the integration model from the reflective material production to the production of reflective vest. Q Do you have "Stocked reflective vest"9 A Y es,we have enough stocked main product reflective vest. Suzhou Hengzhiyuan Garment Co., Ltd.
ANSI CLASS 2 HIGH VISIBILITY SAFETY VESTS The vest is constructed of a durable and breathable 100% polyester mesh. Vest features include: zipper closure, mic tabs on chest, 2-tier pencil pocket, heavy duty gusseted radio/utility chest pocket, inside patch pockets, outside cargo pockets with adjustable flaps, and reinforced webbing for added strength. ANSI Class 2 safety vests are available in many options - Lime, Yellow, or Orange; solid, mesh or solid/mesh combination, zipper or Velcro closure, silver reflective tape or prismatic high performance tape, 4-season expandable, breakaway, and more. Shengzhou Jurli Apparel Co., Ltd.
now we are develops very rapidly for necktie , scarves ,bowties ,vests each year.we can produce all kinds of the neckties . fast delivery time for samples and bulk production. Wuyi Ruiming Reflective Products Co., Ltd.
We provide products of premium quality and best service to ensure your competotive power. Every year,our company will develop the new products to meet the market need. Or please provide the picture for check ,then we can help you design . 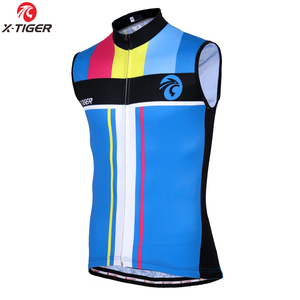 , Ltd was bulit in 2005, We are a professional clothing manufacturer in customized any clothes style with 13 years experience. 2. Excellent service : We always here at your service at any time and place. 4. Professionale : We are 13 years experienced factory,we could customized any kinds of clothes as your requirement. , LTD is a manufacturer of reflective material and its finsh product with well-equipped testing facilities and strong technical force. With a wide range, good quality, reasonable prices and stylish designs, our products are extensively used in traffic road, person safety and other industries. F AQ 1. Are you a Factory9 Yes, we are a factory, and we are specialized in reflective materials and products over 12 years, also we have a sales team which has 8 foreign trade elites. Every Teamsmart product will be tested in the factory line before packed. 2) We can make replacements or refunds to you if there is any problem about the items after 3 days you receive. 3) We can accept small order or big order, the more you buy, the more you save. Customer could have their own design/logo on the item mens pima cotton blank custom vest instead. WDL are able to help you to creat new products and enrich your clothing line. Products Type Polo Shirt, Vest(waistcoat), Work Clothes, Jacket,Apron,Hat etc. Alibaba.com offers 385,439 vest products. About 9% of these are women's vests & waistcoats, 8% are men's vests & waistcoats, and 5% are men's undershirts. 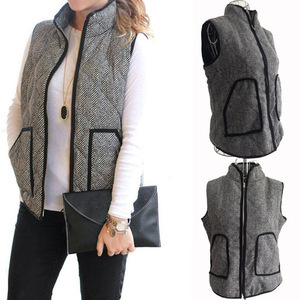 A wide variety of vest options are available to you, such as woolen, denim, and corduroy. You can also choose from men, unisex. As well as from free samples, paid samples. There are 378,197 vest suppliers, mainly located in Asia. The top supplying countries are China (Mainland), Pakistan, and Vietnam, which supply 87%, 8%, and 1% of vest respectively. Vest products are most popular in North America, Western Europe, and Eastern Europe. You can ensure product safety by selecting from certified suppliers, including 54,610 with Other, 48,918 with ISO9001, and 10,947 with BSCI certification.